Please note: this product is available in Chrome as standard. The colours shown are reproduced as accurately as this process will allow and can be made to order on the identified products. It’s almost taken for granted that every new bathroom will feature a towel rail radiator these days. 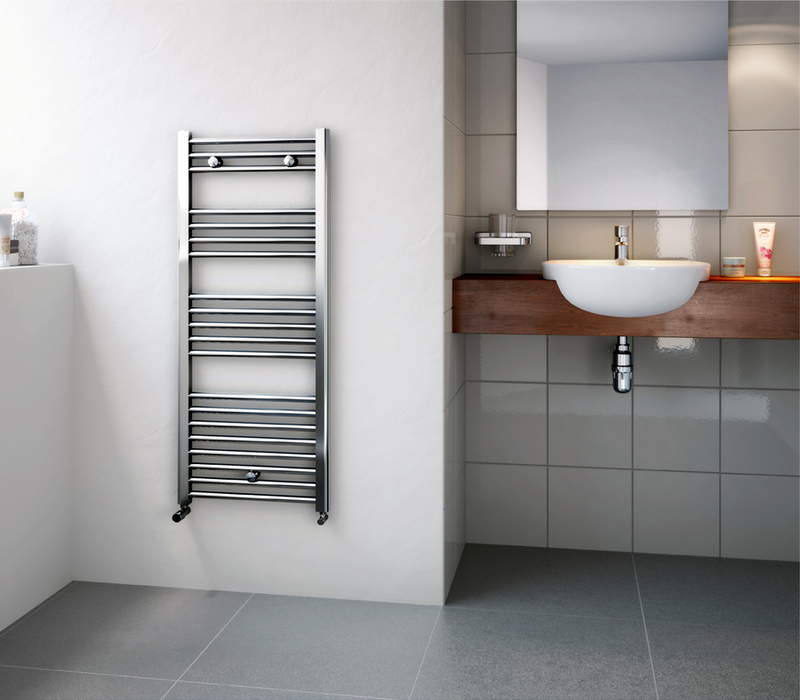 The Stelrad Slimline Towel Rail is a worthy addition to the impressive Aqua Series of radiators designed primarily for bathrooms and kitchens. With its smart 22mm tubing in a chrome finish, at an affordable price and a two year warranty, the Slimline towel rail makes the option of a classy slimline chrome finish towel rail a possibility for every bathroom.